Now on eBay starting @ $39.87 No reserve! Currently on Ebay, starting @ $39.87. Holton 378/178/detachable flare…No Reserve! Condition Good, Valves serviced, corpus cleaned, restrung with new corks. Nickle valve cluster & crooks. 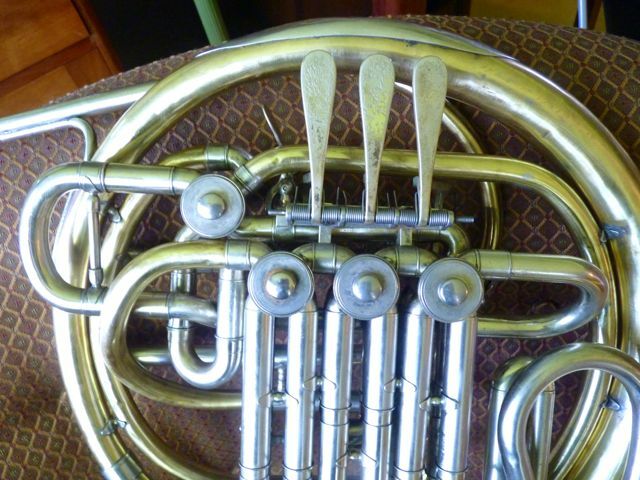 The rest of the horn is Brass, with a slide Detachable flare, (not Alex compatible) the original flare with one small rim patch. 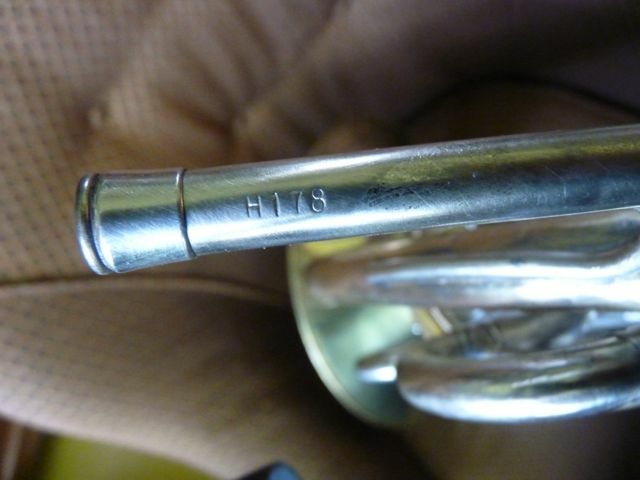 Plays well in tune across F & Bb horns With Nickle inner and outer slides a H178 lead-pipe and Holton water-key. 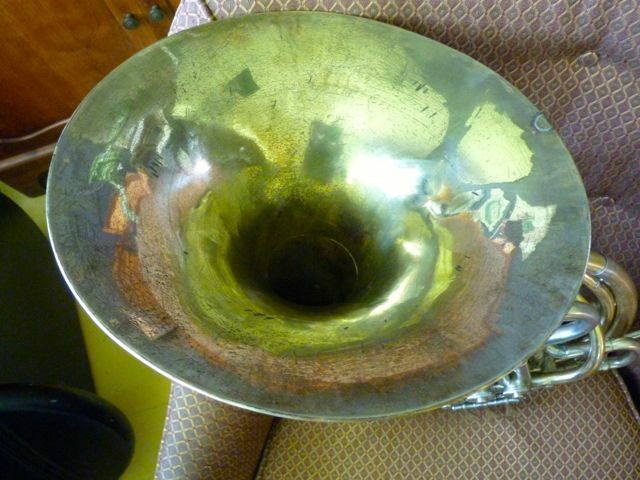 It has had dent removal in upper bell-section, a Nickle hand-guard is present with minor denting , larger than a Holton guard. Small dents on #3 F Crook and upper F tuning slide. 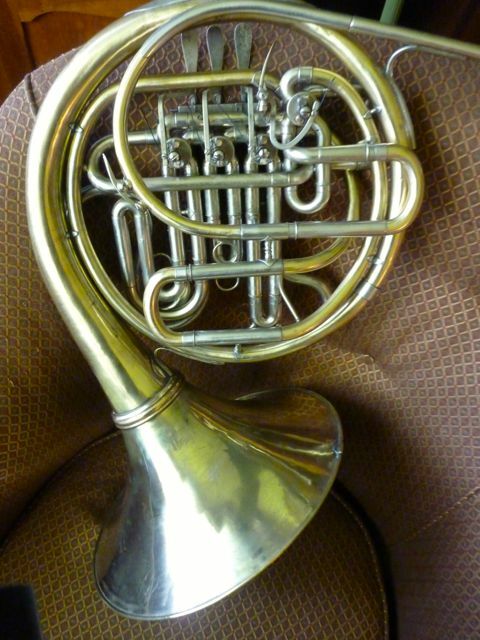 Good (not new) compression and horn plays to High C, well centered. 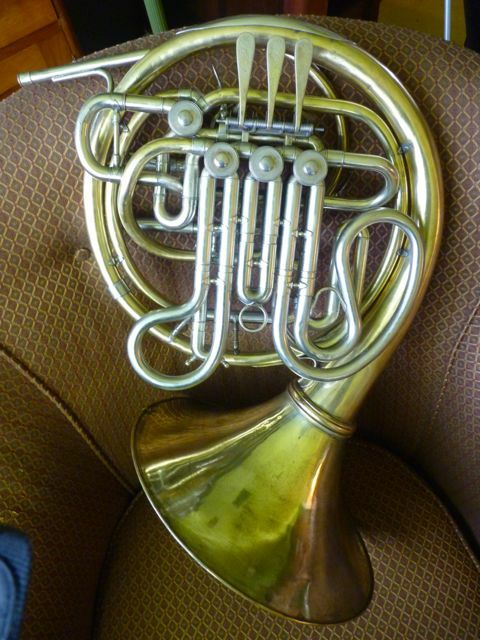 A good horn for a player who wants an “up-north” cabin or travel horn. Also it would serve a family looking for a introductory double, and are on a budget. No lacquer and will oxidize. Winning bidder can select one: Holton adjustable pinky hook, a Conn Selmer flipper or a Canadian Brass leather strap attached. Ask questions. It will be shipped standard post (the old parcel post) in a used, but useable, Holton fixed bell case. The Shipping box is 18 X 18 X 27″ weighing about 21 pounds. Overseas only to countries with the 108″/2.75m girth + one length limit, check with your country.